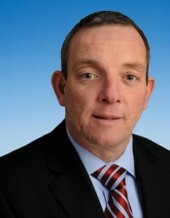 That was the advice of Cork South Central TD Jerry Buttimer today, as he spoke publicly to Padraig Hoare about being gay. He said that Cork was a great place to be gay and that it had a very loyal gay community who would support those going through difficult times. “I spent a while struggling with my sexuality and it was a long personal journey. Now I am very open and completely comfortable with it. It doesn’t define me, I don’t see it as a big deal — it is just a part of who I am. Deputy Buttimer came out after the creation of a new Fine Gael forum to push for gay equality issues, backed by Taoiseach Enda Kenny.